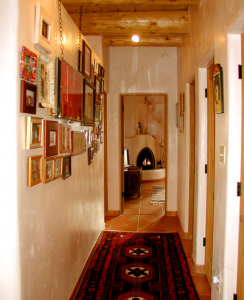 Owner's statement: Welcome to Hale de Taos. 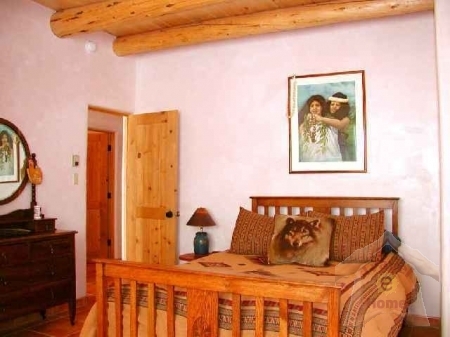 "Hale" Hawaiian for "House" combines our Hawaiian heritage and our love for Taos." 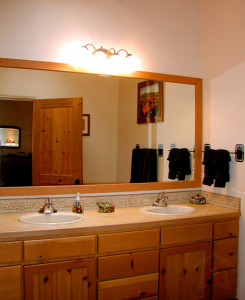 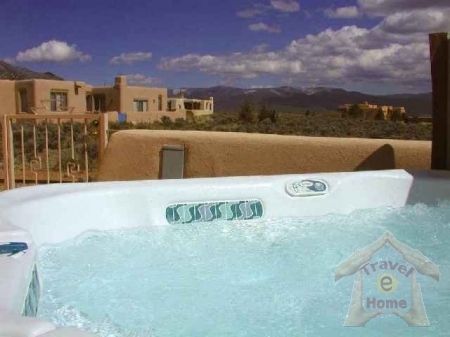 This gracious home was completed in 2002 and was designed to capture the spectacular views of the Sangre de Cristo Mountains including the majestic Wheeler Peak. 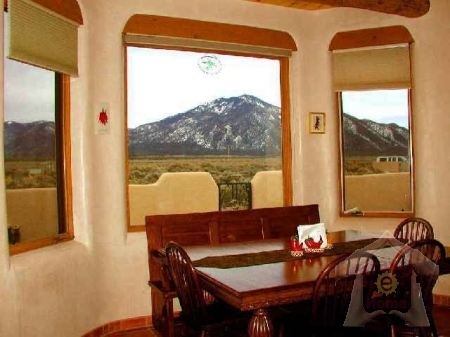 The oversized windows in dining and living rooms provide MILLION DOLLAR views and allow guests to watch the sunrise over the mountains while eating breakfast at the dining table or while relaxing in the spacious living room. 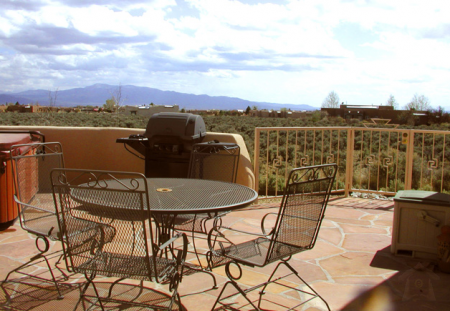 Enjoy the splendor of the sunsets from the large flagstone main patio (with spa) or lounge in the privacy of the master bedroom patio. 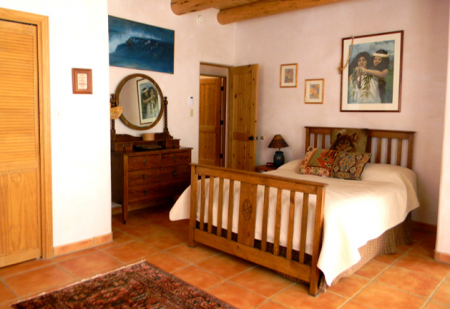 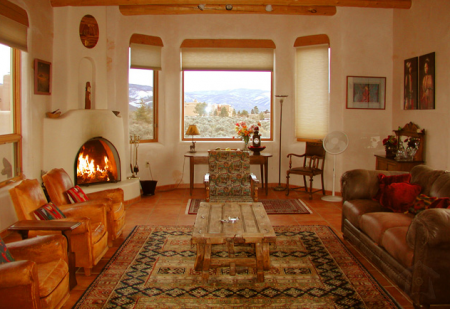 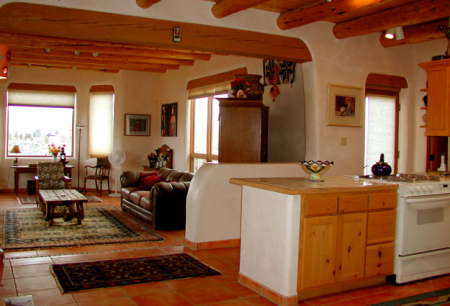 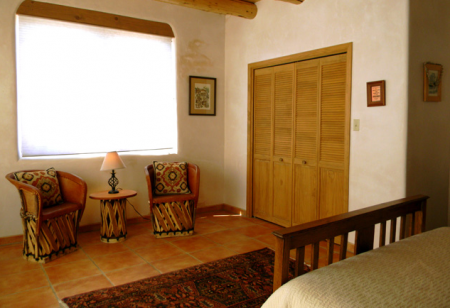 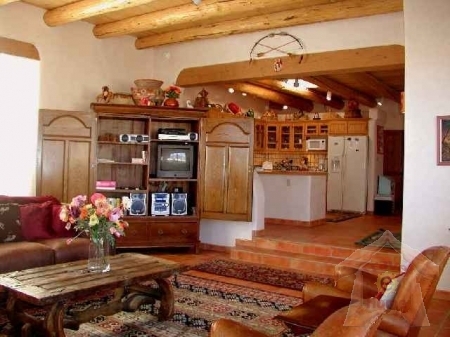 Surrounded by the comforts of old world furnishings from England, France, and Mexico you will be captured by the charm not only of this home but also by the natural sagebrush surroundings so acclaimed by years of Taos visitors. 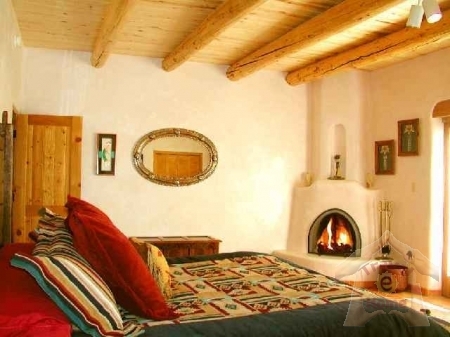 Whether you come to historic Taos to enjoy the world renown skiing, golfing, fishing, hiking, art galleries and restaurants, or just to relax, Hale de Taos is conveniently located and thoughtfully furnished to insure guests a grand and memorable respite in Taos, New Mexico. 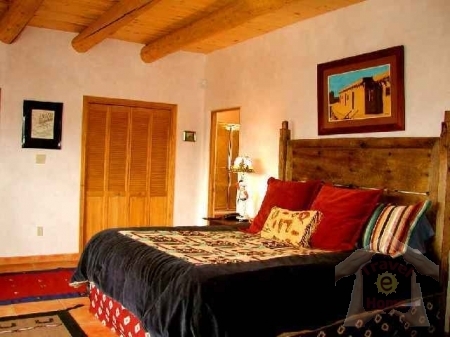 Enjoy your stay, and come back often!